Ανακαινισμένο το 2015, το YOO YEN PEN SOOK hostel εγγυάται στους πελάτες του μια ευχάριστη διαμονή είτε βρίσκονται στη Μπανγκόκ για δουλειά ή διασκέδαση. Σε μια τοποθεσία μόλις από την συναρπαστική ζωή της πόλης, αυτό το 2 αστέρων ξενοδοχείο αποτελεί ένα εξαιρετικό μέρος και παρέχει εύκολη πρόσβαση στα μεγαλύτερα αξιοθέατα της πόλης. Με την βολική του τοποθεσία, το ξενοδοχείο προσφέρει εύκολη πρόσβαση στους προορισμούς της πόλης που πρέπει οπωσδήποτε να δείτε. Το YOO YEN PEN SOOK hostel προσφέρει άψογη εξυπηρέτηση και όλες τις βασικές ανέσεις στους ενθουσιώδεις ταξιδιώτες. Το ξενοδοχείο σας προσφέρει μια μεγάλη επιλογή υπηρεσιών, συμπεριλαμβανομένων των δωρεάν WiFi σε όλα τα δωμάτια, 24ωρη φύλαξη, ημερήσιος καθαρισμός, ιδιωτικό τσεκ ιν/τσεκ άουτ, 24ωρη ρεσεψιόν. 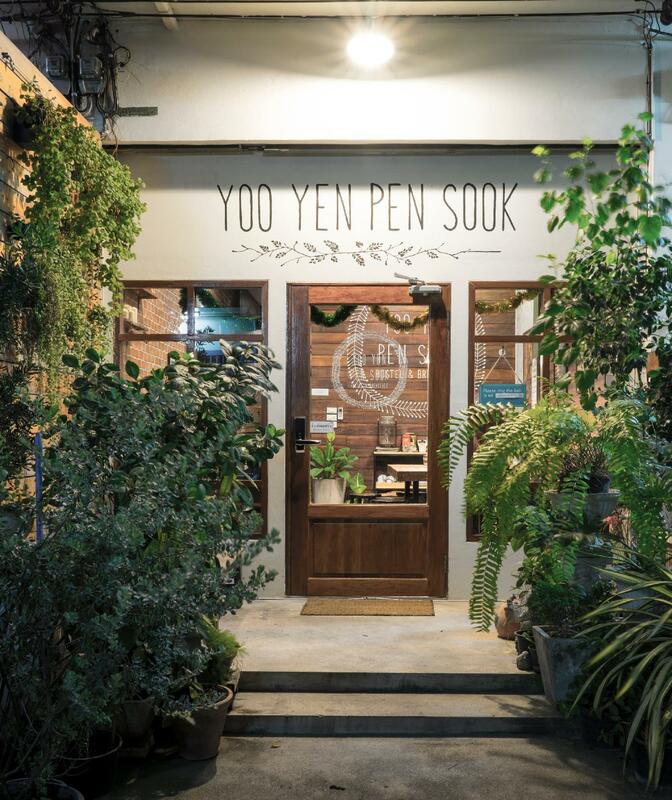 Το YOO YEN PEN SOOK hostel διαθέτει 30 δωμάτια. Όλα τους είναι διακοσμημένα με γούστο και πολλά από αυτά παρέχουν ανέσεις όπως δωρεάν καφές φίλτρου, θυρίδα, πετσέτες, σύνδεση internet (ασύρματη), ασύρματη σύνδεση internet (δωρεάν). Εξάλλου, το ξενοδοχείο διοργανώνει πολλά ψυχαγωγικά δρώμενα έτσι ώστε να έχετε πολλά πράγματα να κάνετε κατά τη διαμονή σας. Με την ιδανική του τοποθεσία και τις καταπληκτικές του υπηρεσίες, το YOO YEN PEN SOOK hostel θα σας ευχαριστήσει σε πολλά πράγματα. Hostel is stylish , clean with comfortable bed , clean beading. Has AC , offers breakfast and WiFi. Located short walk to BTS and Chatuchak market . The hostel is located very close to JJ market and BTS station. Personally don't find it difficult to find according to google map, it is the darkness making the door not obvious enough at night. I was attending the hostel very late on day of arrival, yet staff of hostel woke up from bed and served my need. Thank you. They were very cheerful as well and we chat a little during breakfast. It amazed me that they could actually hold cooking class for guests who would stay up to few days as the owner would like to make the hostel home like. Unfortunately I could only stay for a night. The bed and rooms were clean. Though I was not given the lower bunk which I had been promised to be reserved with, it was not as inconvenient as some travelers have described(at least I could sit in bed without pumping my head probably because I am not a tall person). The only thing I was not very satisfied was the shower room. The fixed shower head and uncovered hanger were not user friendly to me. Plus, the water pressure was low. Second time staying here, and this time it was a pleasant stay as well. Staff is unable to speak English, so make sure you know where to go and what to do beforehand! Walking distance from Saphan Khwai BTS, lots of places to eat for breakfast/lunch around, and Big C is about 5-10 mins walk away, same for Chatuchak weekend market. 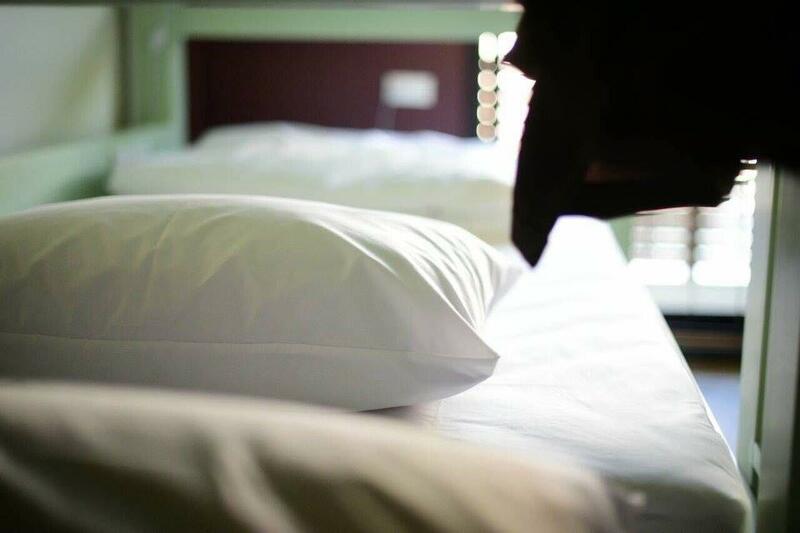 Towels and clean sheets provided, and new facilities made our stay comfortable. Finding the hostel didn't prove to be too difficult, it's just a short walk from Saphan Khwai BTS. It's been renovated recently, and is clean and comfortable. The staff was friendly, and allowed my friend to put her luggage in my room for a few hours, and I appreciate that. I was the only one in my shared room when I stayed, so I can't speak about meeting other travellers there. There is a storage box for you to safekeep your valuables, so be sure to bring along a small padlock for that. Breakfast was also provided, and though it was simple I can't complain much, seeing how little I paid for my stay here. There is a Big C nearby, and lots of lunch/dinner options if you get hungry! Really liked the decor or the hostel too, even the bathrooms were nice! Would stay again if I travel to BKK in the future. Great place to spend a few nights. Close to transportation and the night market. Located in a small alley that’s away from the main street. The common area indoors and outdoors have plenty of photo opportunities. Hostel is very well maintained, but do take note that there’s no lift and assess to upper floors are via steep narrow stairs. Nicely located to chatuchak, bts and big c. Our group was attended by Ann who speaks English, and was non-intrusive while helpful when needed. Highly recommend people who want to be within walking distance to chatuchak weekend market. I was greeted by the housekeeper who works there 24 hours a day with very limited English. Information was given over the phone by the owner, frustrating and poor service. 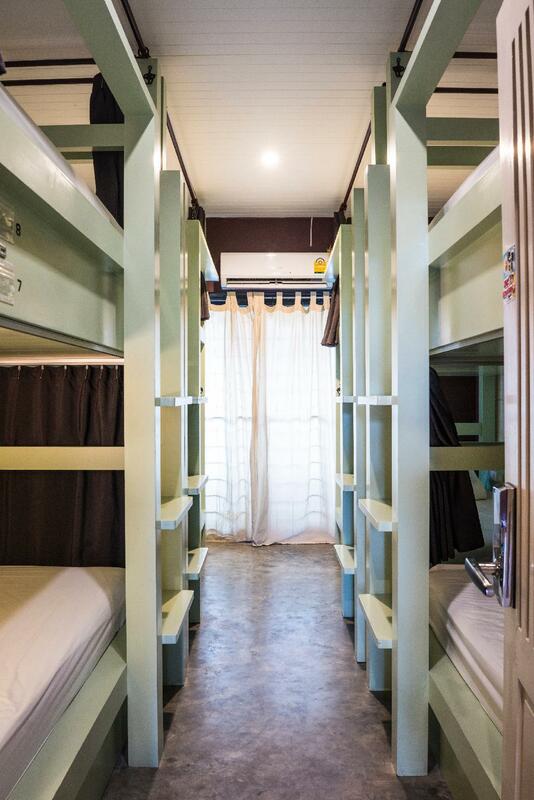 the custom built bunks have very low tops, the owner should sleep in one to see how annoying they are. It is close to the bus station, but there are other hostels in the area. The bathroom wasn't clean, hairs were left on the floor. I wouldn't recommend it at all. No signage from the main road makes it hard to find. Stayed for 1 night in the female dorm. Beds are fine but be careful when sitting up in bed (not enough space to sit straight up). Had issues with the key card to get into the room, but it wasn't a huge issue. It's near a BTS station and the Chatuchak weekend market. Breakfast was free and consisted of toast, fruit, cereal and tea/coffee. Very new and clean, furnishing is great, but the hostel is a bit far away from the main part of Bangkok. You can get there by skytrain or taxi, but that takes time. But since it is not in the usual tourist area, the food prices in the surrounding places are very cheap. Cold shower at my level, but with the temperature, who cares! It was better cold anyway. We kind of have mixed opinions about this hostel! For the good part: Good location, very clean hostel, nice dorms, good breakfast (eggs, nutella, bananas, coffee, etc). For the ugly part: all of the staff members spoke 0 English. I mean absolutely no English at all. Even "hello" was a bit of a stretch for them. I don't know if they were just there temporarily or something, let's give them the benefit of the doubt, but in all the hostels I've been to in 6 years of travelling, this has got to be the #1 at "not a single word of English can be spoken/understood". I would go again if the staff gets better! Overall is a nice spot for short stay, quiet & clean. It is in a no outlet street about 1 km away from Mochit BTS and 3 km from Mochit bus station. It is very quiet at night, cannot hear any noises from the busy street. The only downside is no elevator. Breakfast was included, the place is very modern, public transport can be taken from outside the door. We really liked it and would stay again. The staff are friendly and nice. Near the BTS station and bus stop. It's a great place to stay if you're bunking in for awhile. Though the facilities are really basic, the people here have tried their best to make it as comfortable as possible. Great review! Σταθμός BTS Saphan Khwai στα 0.23 χλμ.